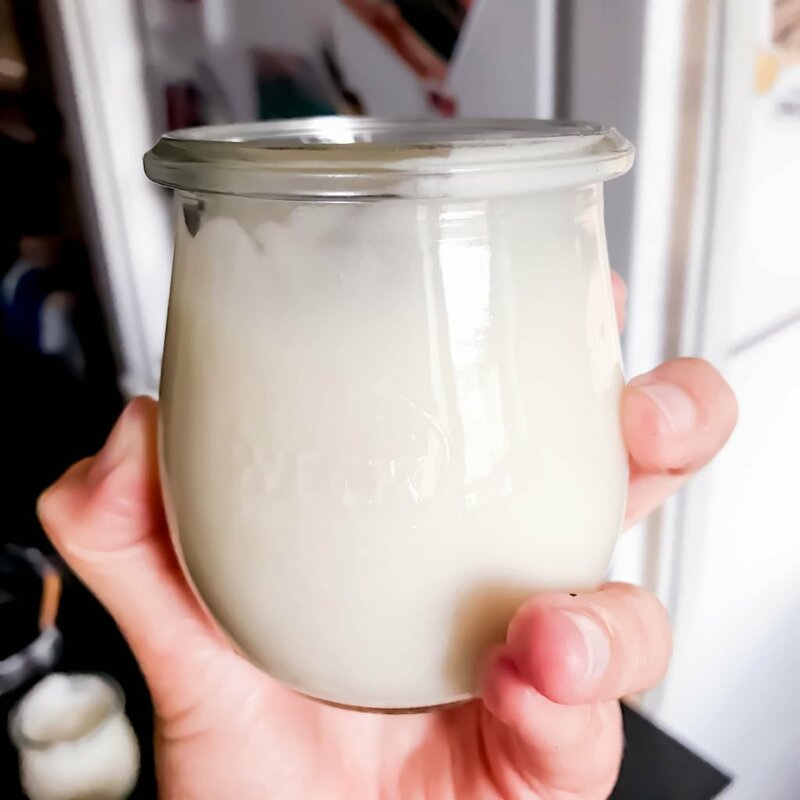 If you are like me – i will pay over $40 for one 16oz homemade coconut yogurt – you know the one from your local co-op. scratch made, therefore, it’s been on my mind to make it myself. My hope is this will inspire you to do the same as well. I’ve been making this for years and it’s time to bring the recipes out of the closet. Why because I believe Coconut or any homemade fermented cultured yogurt or any fermented foods for that matter is straight MEDICINE for you, your gut, your future children and future illnesses. Why eat scratch made coconut yogurt? because it is FILLED – OVERFLOWING with good bacteria for your gut. From food directly not just taking a pill of probiotics every day. Or when buying yogurt from the grocery store 99% of the time they are adding in the probiotics after they have cultured the yogurt and it’s at a rapid pace. Therefore you aren’t going to reap the benefits as much as making it for yourself. If you are like me and any other human being we can’t get enough of the good probiotics. I’m not going to get fully into the details if you want to find out more my favorite source for the inner eco information is Donna Gates herself. I listen to her on podcasts and watch her video, and even read her book. It really changed my life and how to view what I eat every day. Now let’s get back to it – coconut yogurt. 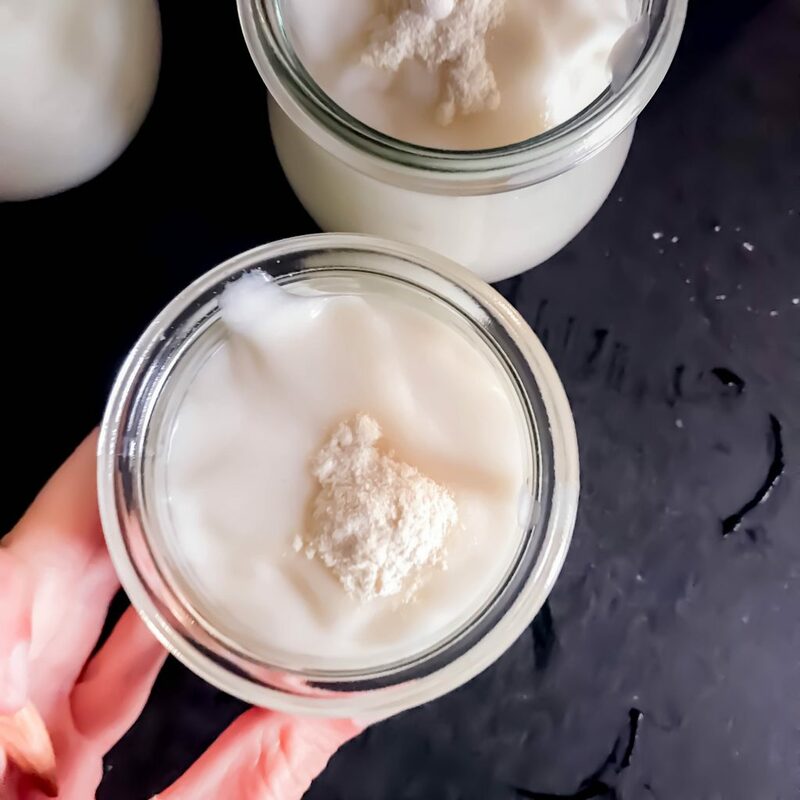 You have a few options but there are many ways on how to make coconut yogurt all the way from scoping out fresh coconut meat to canned coconut cream. I’ve tried them all. My favorite is scooping out the fresh coconut meat from a young thai coconut itself. Now don’t freak out here this option does take extra time. Is it worth it?! absolutely! BUT if you can get your hands on some frozen coconut that will save you about an hour of labor. Here are the brands to look for in your local health food stores that I love and recommend. 1. 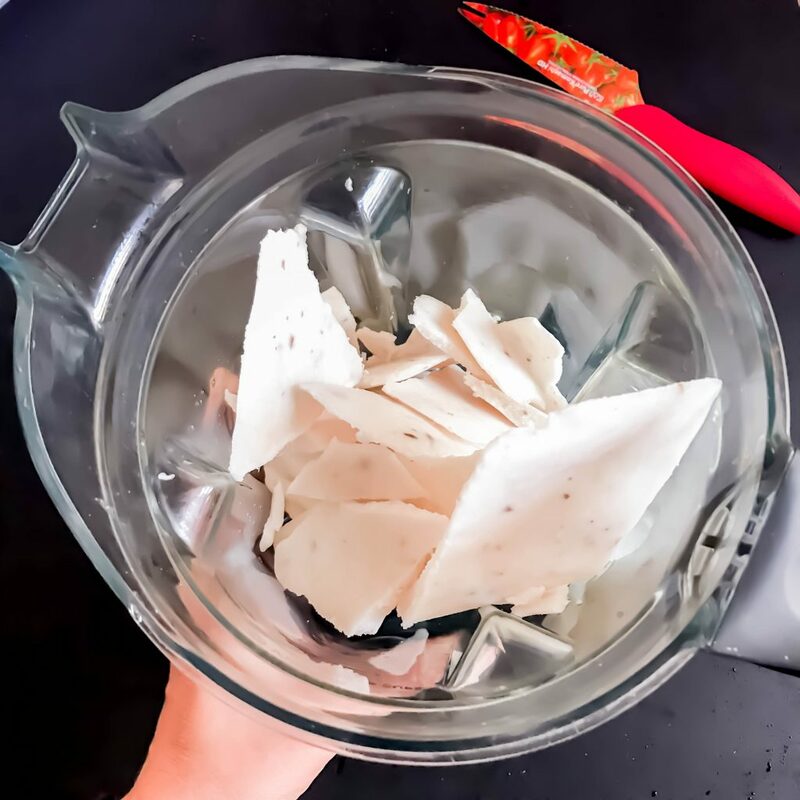 Organic Raw Frozen Young Thai Coconut Meat from Exotic Superfoods find online or in your local health store. 2. Inner eco packets – these will only make one small 6oz jar if you are lucky. If you do decide to go straight to the source you can get young thai coconuts at your local Asian market (this is where you will get the best deal), whole foods, your local co-op. how to open a coconut? Here are a couple of good references… I personally use a coconut jack. I used to use a butcher block knife – if anyone knows me… well you know how dangerous that is. So I was very happy to invent into the coco jack. Rest assured this is not a sponsored post – just a true story. I love the coco jack and recommend to anyone. It also comes with a dinglehopper that will scoop out the coconut meat for you. (for the record …I made up the name dinglehopper). Now that you have the coconut goodness now we will need to start thinking about the probiotics tablet or yogurt starter. You have a few options for this too. 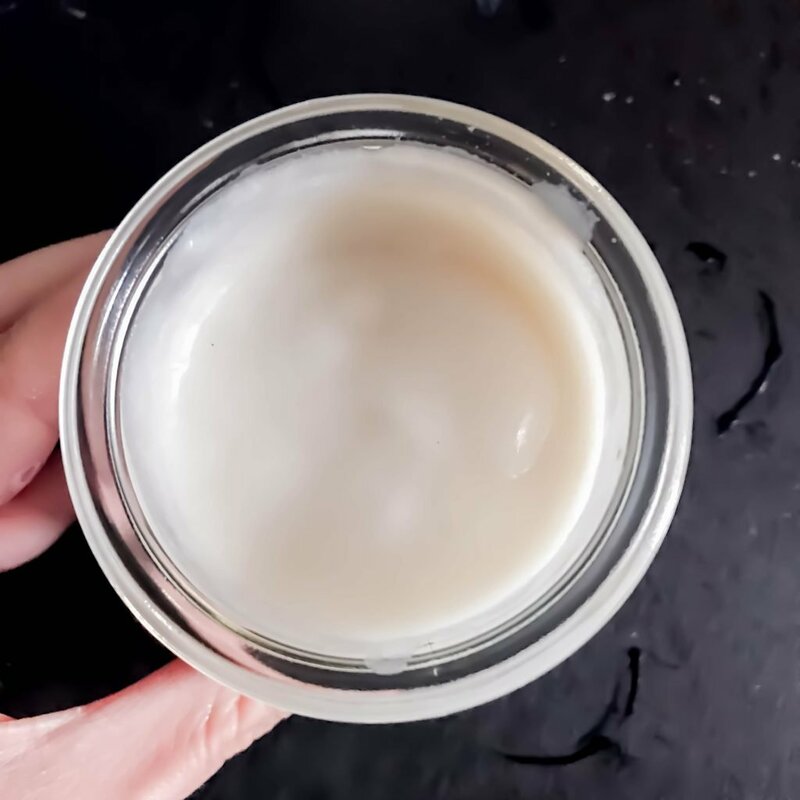 I tested both – what you need to know for probiotics is GET THE GOOD STUFF! The real stuff – the probiotics you see in the fridge at the grocery store. 1. This one is my go to. Inner-Eco: Culture Starter. YOU only need a probiotic to start the yogurt or a starter you do not need both – sometimes I like to add both just so you have a great variety of healthy probiotic strains. For a BONUS and again… you do not NEED this! is to insert a prebiotic to your probiotics! What does this do? A prebiotic feeds the probiotic and allows the probiotic to multiply rapidly! 1. EcoBloom from The Body Ecology from Donna Gates. 2. Blended cranberries these can be frozen or fresh. More information benefits of probiotics and prebiotics. They boost your immune system, if you have ever been on antibiotics they strip our good GUT bacteria and prebiotics and probiotics go in and replace the GOOD. They are the good guys and you want them all on your team in your belly. Once the coconut meat is completely defrosted on the counter with the package unopened. For a faster defrost, place the frozen coconut meat pouch into a cold water bath. When it is defrosted, it is ready to use right away. 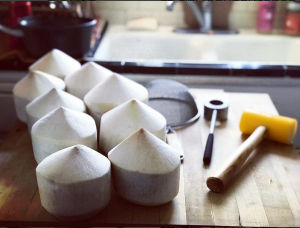 If you are using fresh coconut meat the ounces will always vary hence why i added 16oz-32oz of coconut meat. Now blend the thawed coconut meat with the coconut water and juice if you are using until fully blended and smooth. 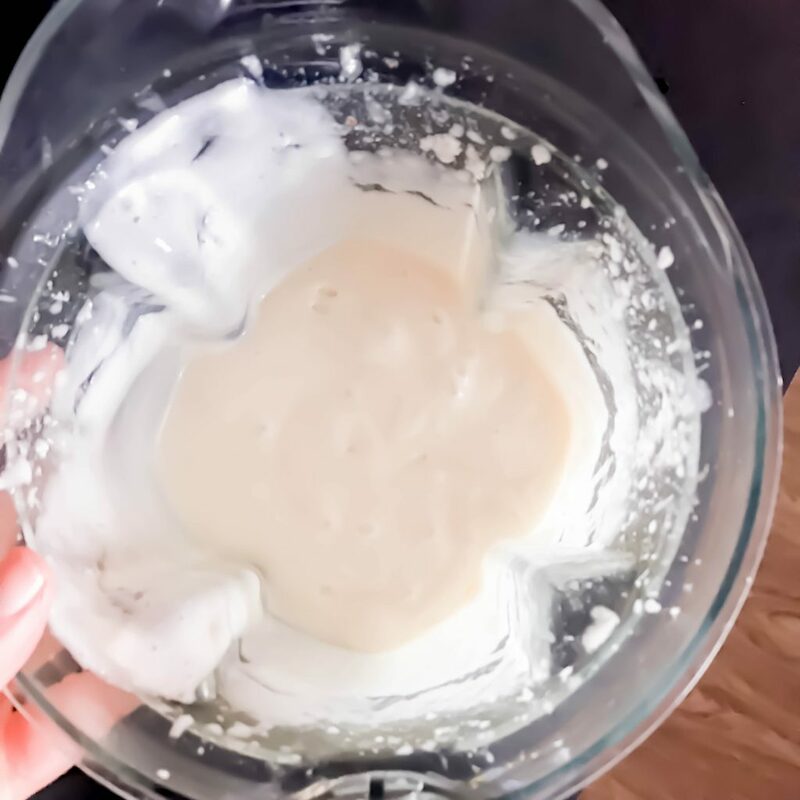 I like to add the cup of coconut water slowly the less you have the thicker the yogurt will become – if you need more in order to blend just add a splash at a time. This is the step you can add in your cranberry juice (or any fruit juice, berries or anything to flavor the yogurt. Blend again until smooth and when you have desired taste. To sweeten more I like to add stevia or raw monk fruit when the fermentation is done. 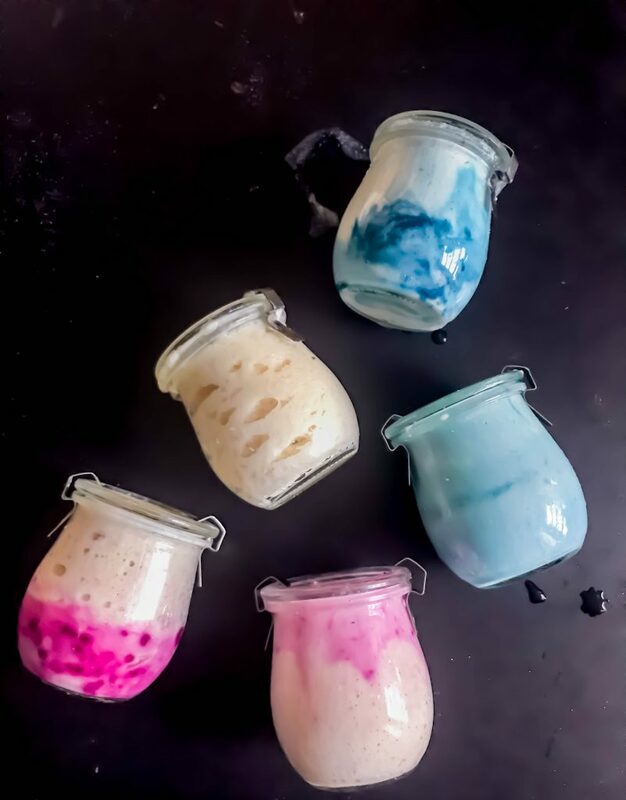 pour your mixture into 32oz mason jars – you can also make a lot of single serving sizes which is great for an on the go snack. add your pre & probiotics. 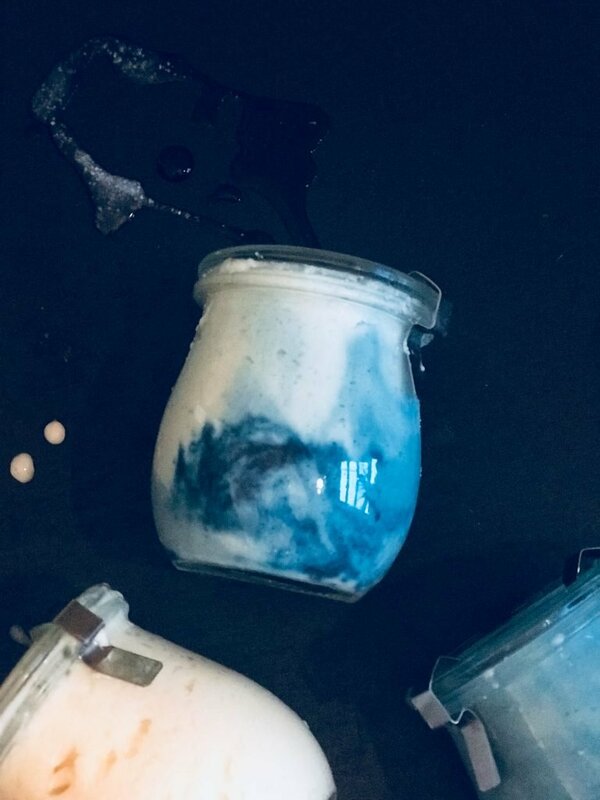 before you put your lid onto the jars pour the powders into the blended coconut. VERY IMPORTANT! only use a WOOD spoon to mix the powders into the coconut. Metal will kill the probotics. Option 1: place the jars either into a dehydrator at 95-110 degrees for 12 hours. Option 2: put into your instant pot and press the yogurt button. Option 3: place them in a dark cupboard for 24 hours. Option 4: place the jars into your oven – do not turn the oven on just turn the light on to keep the oven a little warm for 24 hours. your yogurt will make quicker at a controlled temperature but a dehydrator or an instant pot is not needed. this step is optional but the artist in you will enjoy it if you feel the need. this is where you can open your yogurt and taste to see if you like the plain version. if you keep as is or add in some superfoods – my favorites are added in the notes above. to sweetened add in honey, stevia, raw monk fruit or anything that tickles your fancy. now ENJOY & celebrate! 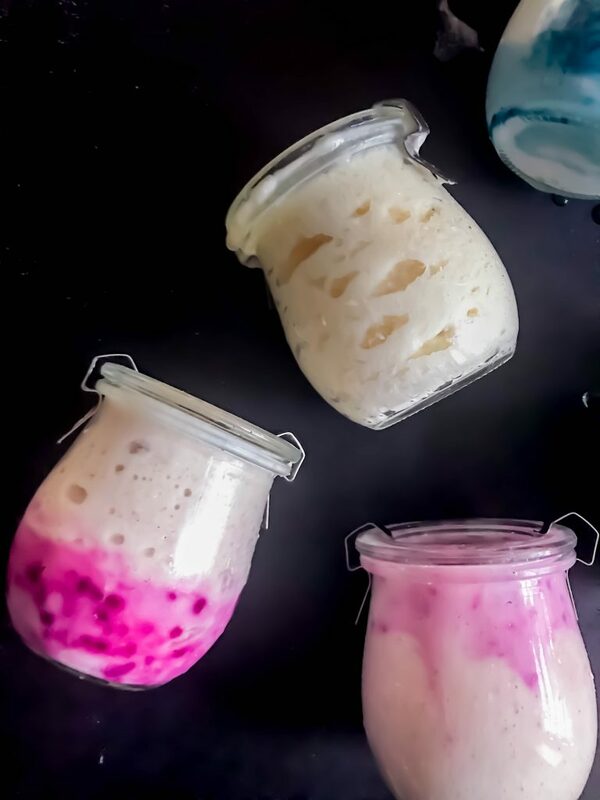 you made your own coconut yogurt.